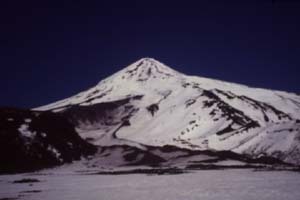 12293 ft (3747 m) . First Ski Descent: Otto Meiling, 1936-1939 ? A brief description of Volcán Lanín will be added here soon, along with a topographic map.